Power interruptions happen when we need electricity the most.Most people will want to ‘take care’ of the problem because they feel as if the professionals will take too long to get there while they are missing their favorite show.Well, this is a really bad idea because they do not only risk getting electrocuted; they also risk causing electrical fires which could damage the whole neighborhood.The best step to take is to call an emergency electrician. These are electricians that will get to your house fast and bring back the lights by professionally solving the underlying problems. Now that you know what to do, here are a few tips to help you get the best emergency electrician to help you out with your electricity problem. Licensing is important when you are dealing with electricians and any other professionals. This is because it shows that they have met the requirements by the government and allowed to conduct their business. It also shows that they have gone through rigorous test to confirm their qualification and passed. Working with a licensed electrician takes the doubt out of their work. If you choose to work with a licensed qualified electrician, you will be saving yourself and your house a lot of trouble. There are many accidents that result fromelectrical faults and you want to be sure that the elec trician you are working with is qualified enough to safely fix the problem to avoid any accidents. Trained electricians will follow strict safety rules in fixing your electricity issues and will check the system for anything that might be hazardous. Since we are talking about emergency electricians, it is important to make sure that they can handle any kind of electricityemergency in your home when you call them. Just like the name suggests, emergency electrical services need to be delivered fast to prevent any damages that might be irreversible.No one has time to sit in the dark and wait for hours for the electrician to get to their home. They are referred to as emergency electricians because their services should be prompt. A good company will assign the electrician that is closest to your home because this will greatly reduce the time between your call and the arrival of the electrician. When you have to call an emergency electrician, it is obvious that you had not planned for this and you might not have a lot of money with you. With this in mind, the electrician you choose to work with should not charge a fortune for their services. Try and work the pricing with the company and if possible, have the charging be per the job done. You do not want an hourly charge that will result in you paying a boat load of money for what appears to be a minor task. Always work with an honest emergency electrician without any hidden costs that will increase the total amount that you have to pay at the end of the job. Emergency electricians should be available around the clock. Unlike other companies that will work only during the day, electrical emergencies happen any time and you should be able to access these services when you need them. 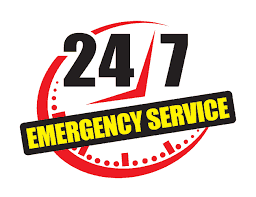 Any emergency electrician company that does not work around the clock should drop the word ‘emergency’.Only work with emergency electricians that will attend to your needs anytime you need their services because emergencies are never planned for. If you need electrician naperville services and you are reading this, you are in the right place.